Hey everybody! Ramon's back! Too bad he came back this week 'cause the comics were...less than stellar. The boys make the most of it, though. There's Black Lightning to talk about, plus the first pix of Brie Larsen as Captain Marvel! Plus great questions and comments from you, our awesome fans! Hit the play button! It's gonna' be a fun episode! 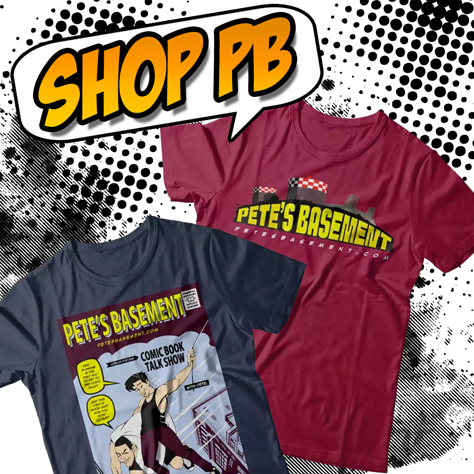 Pete's Basement Season 9, Episode 35 - NYCC Wrap-Up! The long-awaited episode is here! Pete, Rich, and Trish discuss all things New York Comic Con 2016! From upcoming interviews to cool toys, awesome statues, and what great celebrities they got to meet! This is the authority on New York's biggest comic convention!